We all know that makeup can enhance or highlight your beauty, but at the end of the day, what matters the most is natural beauty and glowing skin, with or without makeup! So keeping your skin youthful and healthy is so important for looking beautiful for longer. But, how do you do that? How do you get glowing and youthful skin, no matter how old you are? Well, here is the secret you need to religiously follow, and that is this magical technique: CTM: Cleansing, Toning, and Moisturizing. Cleansing helps to absorb nutrients. It gets rid of makeup, oil, sweat and environmental pollutants from your skin, which cause irritation, acne, blackheads, pigmentation and uneven skin tone. The first step is to clean your face properly. Using a bar soap cleanser is not advisable, as it tends to dry out the skin, so use face washes instead. There are a variety of face washes available for every skin type, so the trick is to choose the right one, according to your skin type. In addition, a product like cleansing milk can also be used to cleanse your face, while making sure that pores don’t get clogged. Using a face wash and then a cleansing milk is a technique called double cleansing. For cleanser product recommendations read on. Why Tone: Toning gets rid of oil, dirt, excess makeup, dead skin cells and reduces the size of your pores. Toning is one of the most neglected steps by women. What many of us are unaware of is that toning helps to take off all the muck that has accumulated on your face during the day, which causes the skin to look dull and is a major source of acne and blackheads. Therefore, this is one of the essential steps in any skin-care routine, as it clears the skin, and at the same time reduces the possibility of developing breakouts and blackheads. Alcohol-based toners and astringents are not recommended for toning. For toner product recommendations read on. Why Moisturize: It protects the glow of the skin, making it soft, smooth and supple. Moisturizers create a layer between the skin and the environment, so that the skin remains well-hydrated. This layer provides protection and traps moisture inside, and prevents the skin from feeling dull, dry or scaly. Furthermore, lack of moisture makes the skin scaly and dry, and cause patches. Therefore, always apply moisturizer to dampen the skin, and keep it hydrated. This type of skin lacks moisture. 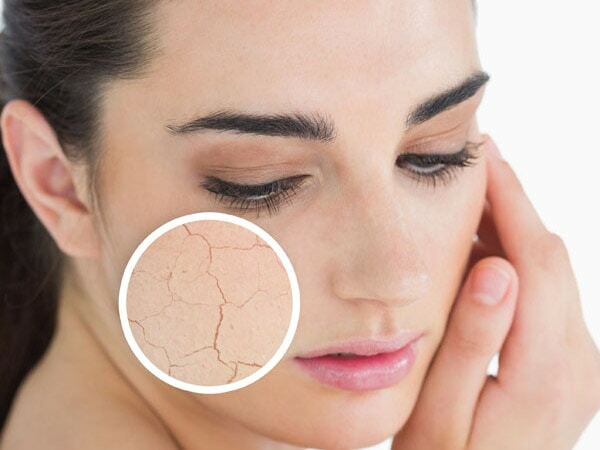 Dry skin gives you a tight feeling, and shows signs of flakiness. So, dry skin’s daily skin care routine should contain products which aid in keeping the skin hydrated. Oily Skin is prone to acne, and enlarged pores. Because of very active sebaceous glands that produce more oil than the skin requires, this type of skin needs proper care. To wipe off excess oil efficiently, oil-free formulas are recommended. Sensitive skin is very prone to problems like itching, redness or burning. This skin needs ingredients in combinations which decreases these issues, mildly yet effectively. Combination skin needs a formula that removes extra oil from T-zone, forehead, and nose while hydrating the skin, as cheeks are drier than the rest of the face. Normal skin needs a formula that removes impurities, while hydrating the skin. Cleanser: Coconut oil, lemon & honey. Moisturizer: Olive oil, Shea butter, Honey. WHY IS CTM ROUTINE SO IMPORTANT? Honestly, just cleaning your face is not sufficient to remove all the impurities from the skin. So, when it is followed up with toning, it removes the leftover impurities. If you cleanse your skin, and skip toning, the possibility of leftover impurities will still be there. Or, if you have toned the skin, but not cleansed, then the face might still have impurities left. In the same way, after toning, if you don’t moisturize, your skin will have open pores and it will tend to lose moisture resulting in dry skin. And, red alert!! Dry skin ages faster! So, all three steps are crucial in maintaining healthy skin, and they should be done in the specific order that we presented to you. So, remember ladies, if you want to have youthful, and younger looking skin twenty years from now, you need to properly invest in your skin, and CTM is right investment! Comment below and let us know if you found this helpful? and if there is any other topic you would love our experts to cover for you? Remember to Stay Happy, Stay Beautiful, & Stay Hooked.